WHAT DOES IT MEAN TO BE A ‘RESEARCH LEADER’? AND HOW DO WE GET THERE? A year ago I found myself in the position of leaving a university where I’d spent ten years – first as a Research Associate, then a PhD student and post-doc – to move to the other side of the country and start a new post at the University of Bristol. The change raised a host of questions that can only be described as academic angst: What kind of researcher do I want to be? Am I a “good enough” academic to achieve my ambitions? What are those ambitions, anyway..? Given these preoccupations, I was delighted to hear about the GW4 Crucible Programme for the universities of Bath, Bristol, Cardiff and Exeter, and even more delighted to be accepted on the 2017 Programme, entitled ‘Healthy Living’. With one residential lab down and three more to go, I can already see the benefits of having dedicated time to reflect, collaborate and learn along with 29 other researchers from different backgrounds and disciplines. The first resource – time – is difficult to come by in everyday academic life. Weeks fly by in a blur of grant application deadlines, meetings, analysis and paper writing. Rare is the opportunity to reflect on your research direction or, heaven forbid, read journal articles you’re not reviewing or immediately referencing in your current grant application or journal paper… Yet having the time and support to think about the direction you’re going in and the kind of academic you want to be is, surely, crucial to becoming a future research leader. How can we lead others if we do not know where we are going, how we are going to get there, or why we might want to go there in the first place? A second way GW4 Crucible supports leadership is by challenging us to go outside of our comfort zones – reach out to new stakeholder groups, engage with both traditional and social media, think creatively about how we disseminate our research findings, and maximise our influence on policy and the media. These things often appear distant from the coal face of academic research, yet without them research can become a detached, ivory tower endeavour. If you want your work to be of real social benefit, your research needs to be collaborative in its origin and conduct, and reach those who have influence. The third ingredient of leadership that GW4 Crucible supports is confidence. Academic life is one of knocks and blows: failed grant applications, rejected papers, and numerous reminders of ways in which we don’t match up to some imagined ‘ideal academic’. Perhaps, given widespread pay inequality and continued discrimination in some academic sectors, building confidence is especially relevant to women and academics from minority ethnic groups. And it is a critical prerequisite for leadership. GW4 Crucible builds such confidence by investing in you, recognising your unique skills, and stretching you (spontaneous mock radio interview, anyone?). The last factor, fostering collaboration and interdisciplinary research, is perhaps the least tangible in that it relies primarily on relationships. In a competitive world, you might be forgiven for thinking your focus should be on growing your own skills and maximising your own opportunities. But it is through harnessing collective brain power, encouraging diversity in thinking, and combining our own strengths with others’ that we are most likely to succeed in a fickle funding environment. 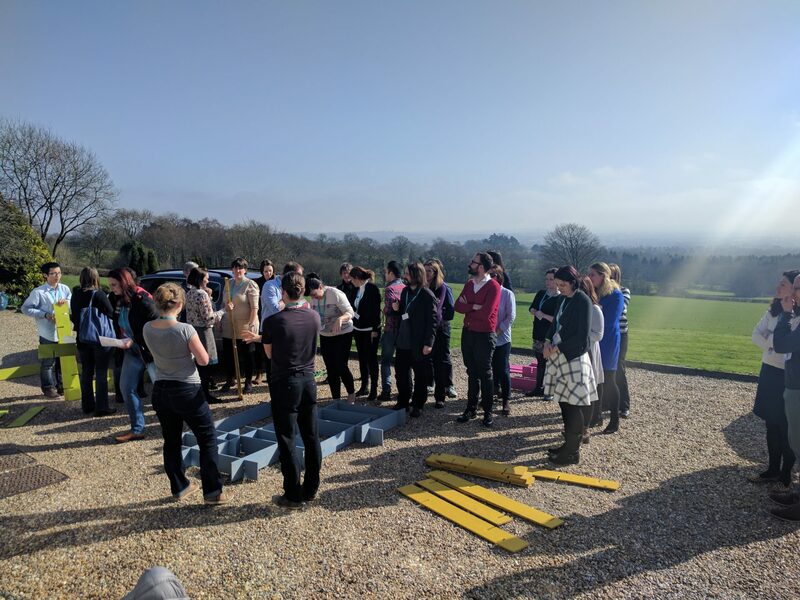 GW4 Crucible encourages us to get to know others’ strengths as well as our own, to trust others, and to think creatively about how, by working together, we can achieve great things. By sharing our experiences and skills, including lessons we have learnt along the way and the direction we are travelling in, we become more equipped to lead others.